In the course of the Indonesian military’s «sweeping operations» in West Papua, five West Papuans were hit by gunfire and further four were tortured on 20 December 2017. The victims included three children that were injured when the Indonesian army fired arms at the airport as well as civilian houses nearby. In addition to the armed attack, the military has, together with the police, closed off the Nduga region of West Papua and travelling out of and into the region now requires as special passport which, amongst others, restricts the access of journalists and humanitarian agencies to the region. On 21st December, we received reports from a grouping of Indonesian and West Papuan human rights groups on the shooting and torture of West Papuan civilians, including children, amid Indonesian military and police “sweeping operations” in the Nduga region, West Papua. According to a press release by the Coalition for Justice, Law and Human Rights of the Central Highlands of Papua, Civil Liberty Defenders and the Commission for the Disappeared and Victims of Violence, the Indonesian military undertook a “sweeping operation” at Daragma airport in Mugi District of the Nduga region on 20th December. The Indonesian military and police “fired randomly at people coming to the airport as well as toward people’s houses and other buildings around Daragma Airport“. The human rights groups also describe how they received information from Mugi that “two houses were burned by the security apparatus and other homes in the vicinity were riddled with bullet holes because of being shot by the combined Indonesian security forces.” They described that three underage children were shot while at home. After the Indonesian military and police conducted this operation, they blocked access to the Nduga region and anyone travelling to the area must first apply for a special travel pass which must be obtained through 5 Indonesian military/police guard posts at 5 points. The human rights groups are requesting that the Indonesian military and police “stop attacks and disproportionate, sporadic actions against civilians” and are calling upon them to allow journalist, humanitarian and other access to the region. They are also calling for the Indonesian military and police to be withdrawn from the Nduga region to allow for a peaceful Christmas. We fully condemn this latest brutal attack on West Papuan people, including children, by the Indonesian military and police. We join the human rights groups in calling for justice and for the Indonesian military and police to immediately stop such attacks and to completely withdraw. Indonesian President Jokowi is currently visiting West Papua and is being accompanied by over 2,500 Indonesian military personnel. Jokowi is trying to promote his image in an attempt to draw attention away from the ongoing genocide and human rights atrocities in occupied West Papua while being accompanied by thousands of Indonesian soldiers. The killing of West Papuan people around Christmas time when the president has visited West Papua in the past is nothing new and has become what West Papuans call the worst sort of “Christmas presents” they could imagine. 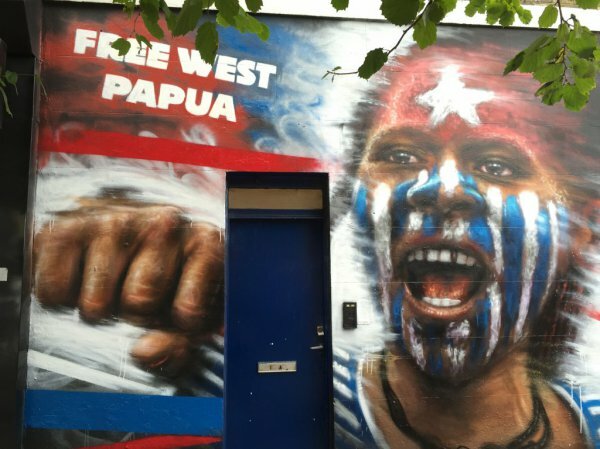 It is time for the Indonesian military and police to withdraw from West Papua and allow the people their fundamental right to self-determination with they have been illegitimately denied for so long. The only solution for peaceful conflict resolution in West Papua is through a genuine act of self-determination in an internationally supervised vote.